Could a crackly phone call from France to Ohio save Fia Randolph’s jobless complications and family troubles? That’s what she hopes when her Uncle Martin asks Fia, her husband, and teenage twins to move to Provence and take over his bed and breakfast. She envisions long picturesque walks carrying crusty baguettes and bonding with the kids as they all learn French. 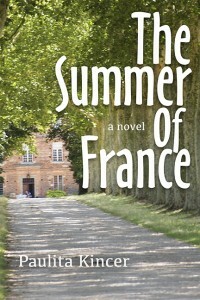 But Fia didn’t bargain on the way Provence would tempt her teens and husband away from the family. Then Uncle Martin’s World War II secret wrenches her family further apart. Can Fia pull her family back together and help clear her uncle’s guilty conscience?